Miami Signs & Printing is comprised of a very diverse group of individuals with entrepreneurial backgrounds; people who have owned their own machining business, thrown large scale concerts, have degrees in graphic arts, animation, advertising & internet marketing. Miami Signs is a special company. We are a group of professionals that truly care about the success of our clients because your success is our success. We go that extra mile to ensure our clients get what they need and are 110% satisfied. When we produce a product or perform a service we take ownership for the quality and presentation. 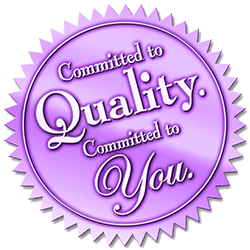 Quality is very important to us, more important than profitability. We don't cut corners or improvise. If a product doesn't meet our standards, we will reprint before releasing unsatisfactory work. Miami Signs & Printing is a division of Signs & Printing Inc. Signs & Printing has several divisions and branches. Affordability is our middle name we buy the vast majority of our materials & inks straight from the manufactures cutting out typical middlemen and distributors and passing those savings along to our clients. We are constantly attending conferences, expos, and seminars triggered around the signage, marketing, & digital imaging industries. We are a national leader in the Printing & Graphics world, we are hip to the latest trends and on top of new cutting edge print processes and beyond. We are constantly creating and maintaining relationships with manufactures to guarantee the best pricing and highest overall quality of the products being sold at our locations. We have strategic relationships with companies such as Roland, Seiko, Mimaki, 3M, Avery, Grimco, Fellers, HP, & Others.